In an age when clubs such as Monaco charted their rise up Ligue 1 with a cash boost like no other, it is difficult to imagine other Ligue 2 clubs ever making a similar impact. The alternative, however, lies in France's belief in youth development. And that is where FC Metz's fame for producing talent comes in. 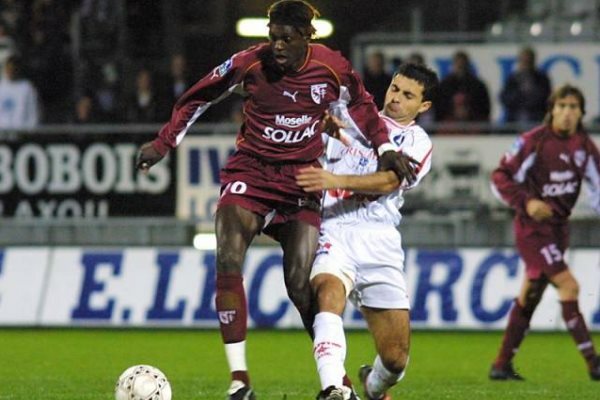 Names such as Robert Pires, Louis Saha, Papiss Cisse, Miralem Pjanic and Emmanuel Adebayor can all trace their successes across Europe back to Metz. The club are currently powering their way back to the top flight, having only gained promotion from the Championnat National (third tier) last season. And it is once again their youth leading the way, with top European clubs again having a look-in for future stars. The academy is run by Denis Schaeffer, who has been instrumental in transforming the fortunes of the likes of Adebayor and current Ligue 2 top-scorer Diafra Sakho. 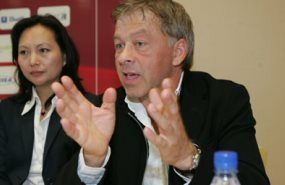 Schaeffer is also currently spreading Metz's message in Asia, touching down in India recently to scout upcoming talent. Inside Futbol caught up with Schaeffer to get the lowdown on the academy's future, how Metz are looking to compete in Ligue 1, and whether Monaco's financial power is a detriment to the other clubs. Inside Futbol (IF): What do you make of the Metz academy's progress in the last few years? Denis Schaeffer (DS): We have a lot of players. We are a small city, but we will hopefully reach the first division next year. And this year, every game, out of the 14 players taking part, eight or nine of them are from our academy. So we know we can keep the best. In the last 10 years, we have had around 67 academy players who became professional in France and all around the world. That's incredible! IF: Your promotion push has seen you lead the Ligue 2 table now, but do you envision Metz ever producing the kind of summer spending that Monaco did last year? DS: Our club is totally different to Monaco. They have an owner who is Russian. He has a lot of money and he spends it. Our president at Metz is of industrial and working-class origins. Our club is built on the formation of this academy. What we want is to keep our best young players and to have, perhaps, two or three experienced players to help them. But we want to develop our young players. We cannot compete against PSG and Monaco. But we want to promote our young players and keep them for longer. We want to build our team around our young players. IF: Do you see the talented striker Diafra Sakho leaving Metz for a club in the top division? Newcastle United are understood to be following him. We want to keep him. Maybe if a very rich club comes and makes a wonderful offer, but we want to keep him until the end of the season. Because we want him to help us reach the first division. Without him the team is not the same and he wants to stay and help us. We have a very good relationship with him. He wants to help us reach the first division. Every game, there are around 15 international clubs that come to the matches to see him. English clubs are here. IF: What do you make of the efforts being made at the Clairefontaine academy and its impact on French football? DS: Clairefontaine is a wonderful place but you can't succeed with only one Clairefontaine. In France we have one Clairefontaine but we have 30-35 academies. If you want to succeed, you have to organise different places in the world. Look at the the model of Japan, where, in the last 15 years, they organised this model with different camps in different regions. There are different academies with young players working in small clubs which are well organised. The national model alone is not enough to develop football players. IF: Going back to finances, do you agree with the recent ruling in France to impose a 75% tax on companies that pay more than a million euros in salaries? Almost every top flight club was opposed to it. DS: Football is not a world apart. It's not abnormal that high salaries should pay different taxes. I recently travelled here [in India]. I saw the streets from here to Jaipur and my wife said, “in France we pay taxes but we have very nice autoways, nice infrastructure, and nice football pitches for young boys in every quarter, so someone must pay”. So for me, it’s normal to pay taxes. If you decide [to have the super-tax] you can't then say "it's not the case for football players" or "everyone but football players", no! It's wall-to-wall for everyone. IF: Monaco seem to get away with a lot of tax-related payments in their current location. What's your view on the efforts to bring them into the tax-incurring part of France? DS: It's normal in the French system. It's not equal and it's easier for them to recruit everybody! But it's a special situation and the decision is a political decision. Monaco is a very small place, but it's a protected place. It's difficult to change. The taxes situation depends not only on football, but also on the fact that it's a negotiation between two governments. IF: What impact do you think the recent successes of Monaco and PSG are having on the French football scene? DS: The problem for French football now is that it's difficult to keep our best players, except for PSG and Monaco. It's important to have these two clubs now. They are able to keep the best French players. But nowadays our best players, our most talented players, they leave for England, Spain and Germany, because there's more money. But in England, Germany and Spain there are four or five important clubs and the gap is sometimes huge. In France, there are PSG and Monaco. But after that, there are 15 good clubs, and the championship is very hard between these teams.